Including mobile in your digital strategy has never been more important. With over 60% of all searches coming from a mobile device and new Google Algorithms putting even more emphasis on mobile responsive websites finding a way to connect with this audience is a priority. enCloud, based in Sydney is an experienced development and design team who understands the importance of mobile and how best to engage mobile users. With expert app developers in Sydney willing to make sure that your project will prosper. Should you invest in Mobile App Development? iPhone or Android? Is a mobile website all you need? There are so many questions that need answering when researching how to access this market and the answers are very different depending on your industry, target market, and your objectives. For this reason, Professional App Developers and Experts is a must. iOS is arguably the world’s most popular mobile platform for revenue generating apps including games, ecommerce and strategic business tools. But it is a proprietary operating system meaning that its source code is not freely available. To maintain a high level of security and reliability, only those apps that have been verified and tested by Apple from certified developers like us are allowed in the App Store on iTunes. Therefore, unlike Android apps that run on mobile devices from a variety of manufacturers, iOS apps run solely on Apple devices. Our high-quality custom iOS apps are precisely built natively and conform by our professional team of mobile app developers in Sydney to Apple’s strict specifications and guidelines for guaranteed compatibility and reliability. 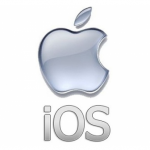 This reliability usually makes iOS the first choice for app development when testing an ideas viability or when looking at apps target at the business community, a smaller market but with a higher conversion rate. 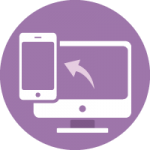 Generally speaking, it is a simpler development process as you do not have to optimise for the variety of devices specifications as with android, but there can be some restrictions in functionality due to Apple guidelines that enCloud can guide you through. Android is an open source software platform led by Google. This means that outside of the Google world there are thousands of developers working on the code and refining the operating system. This can be a double-edged sword as whilst there is a larger pool of talent driving innovation it also creates a large number of variables and inconstancy between devices and functionality. Did you know that the vast majority of smart phones on the planet run on Android? With more than an 80% share of the global smart phone market, our clients are able to reach the majority of mobile users with a single Android app. So while there is a much larger market segment using Android, the ease and access to the open source platform encourages more android app development and greater competition, as such there is less restrictions and moderation of the Google Play app store and you can be harder to find. Also generally being cheaper than Apple, Android devices tend to be preferred by a younger audience who like free apps so understanding the different dynamics of the user base is important when planning your mobile strategy, hence android app development in Sydney should be planned extra carefully. When targeting a mobile market, it is important to ask if you really need a mobile application developed or if a mobile website is a more appropriate solution? Without the need for cross-platform development and the challenges associated with optimising an app for multiple devices and the ongoing effort of maintaining an app though new iOS and Android versions, many applications are more suited to a mobile website which provides greater flexibility, a more robust and stable platform and a smaller development cost when testing an idea in the market. With Google now putting even more emphasis on mobile, optimizing your website for mobile is an essential task. We can make your existing website responsive to multiple devices with mobile navigation and layering of content to provide an enhance user experience on smartphones and tablets, or perhaps it’s time to upgrade your old website completely to a new mobile-friendly design. As always, researching your options and understanding the market is “Key” to making the right decisions – whether to invest in mobile app development or just have a mobile website up and running. enCloud – Mobile App Development Sydney – is here to provide you the best advice and show you options for the prosperity of your project and digital strategy. Professional services are indeed a must to progress in a very competitive world, this is why we are here. For a free consultation on how mobile apps and responsive web development can help your business reach a broader audience, contact us today. When it comes to mobile, never dare ignore it as it leads the total search rate with 60%, and maybe more in the near future. This is because people are now more into compact yet effective gadgets such as smartphones – the beneficial choice for most busy people that are always on the go instead of taking the time to search things on a computer. This makes Mobile App Development a considered priority in your digital strategy and to take care of all that, enCloud is here for you. You will reap the amazing benefits when you choose us as your Mobile Development partner – enCloud is a team composed of Web and App Developers in Sydney along with designers and specialists to make sure that everything you need will be provided with exceptional expert service. We know that keeping up with a plan or conceptualising something for your businesses’ success is crucial and is undeniably complicated. But, with our keen research and analytic skills, we can make all of those concerns instantly gone as we have reputable experience in providing success towards our client’s needs. We can provide you the best solutions on your mobile app difficulties (android app development, iOS app development), from designing and developing the ideas into reality. And, we never leave you hanging, we support you even when the project is finished as we believe that real quality service never ends unless you are satisfied and will get real results. What really makes us beneficial is that we will never treat you as simple clients; we treat you as a partner. To do that, we must understand wholeheartedly about your plans and objectives to make it ours, and with that, we guarantee that we always strive for success in providing all your needs such as mobile app development, SEO, and overall efficiently working digital strategies. Your success is our success.